There's an old saying in our sport, "In racing, training is the only thing", that you only have to lose a stallion or sell him and you can bet on him having the season of his life soon after. We know it only too well: within days of his passing, our own Mullins Bay celebrated a Zimbabwe Derby (Gr3) ace, hot on the heels of his Triple Tiara heroine of last season. Gaynor Rupert of Drakenstein Stud acquired the 5-time Group One winning racehorse, Duke Of Marmalade, a year ago, and voila! three European Classic winners in two months. 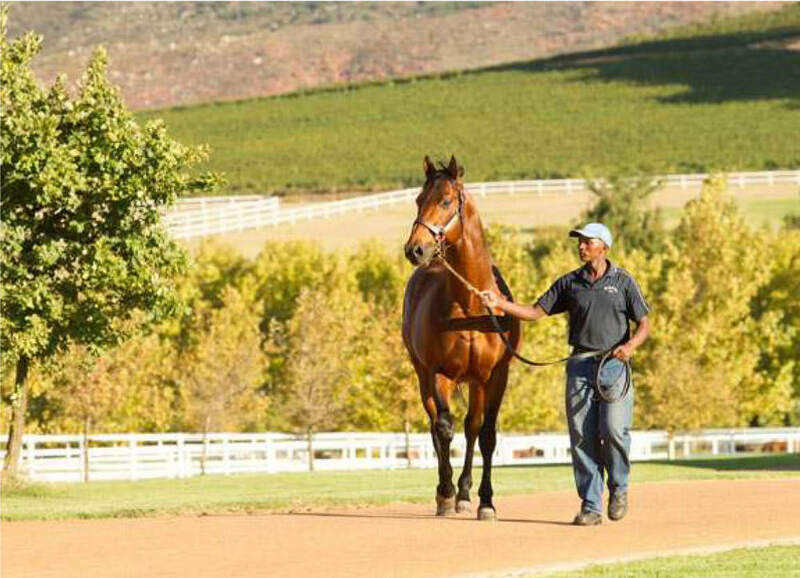 Duke of Marmalade is pictured recently at Drakenstein Stud in South Africa. He is the sire of three European Classic winners this season: G1 Prix de Diane winner Star of Seville. G1 Deutsches Derby scorer Nutan and G3 Italian 1000 Guineas winner Sound of Freedom. Duke of Maramalade is preparing for his second season at Drakenstein.